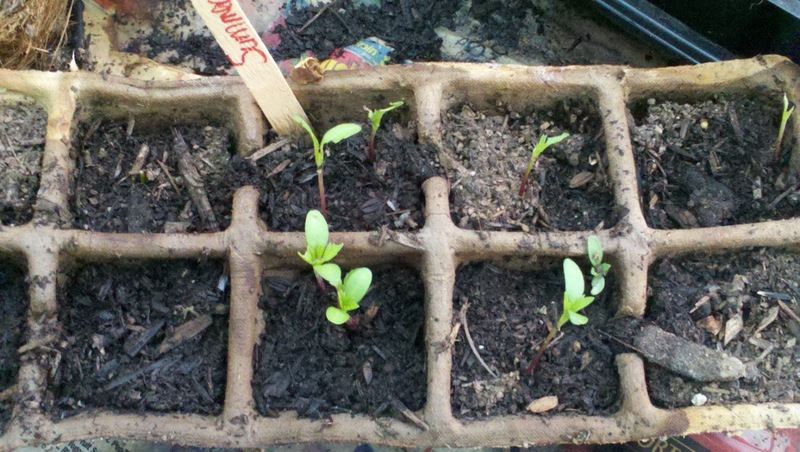 Jenn's Gardening Spot: A Container Garden Journey...It's Seed GROW time with Renee's Garden! 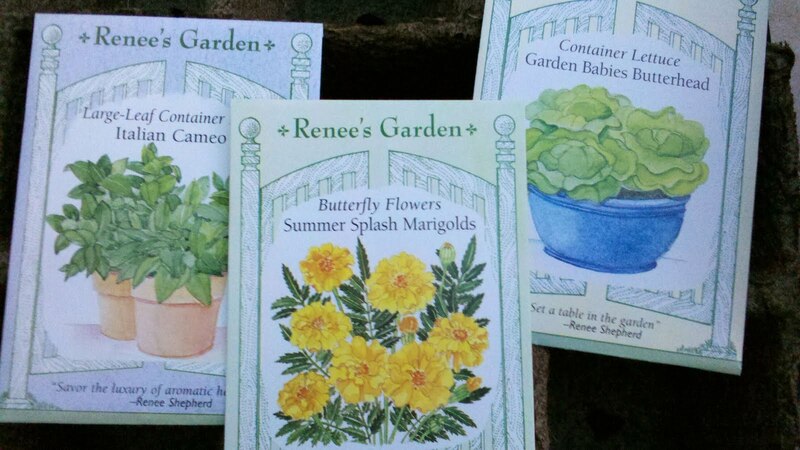 A Container Garden Journey...It's Seed GROW time with Renee's Garden! Exciting times are ahead, Seed Grow project is in full swing! I am such a huge fan of Renee's Garden Seed. I'm so totally stoked to be able to participate again in the Seed Grow project. 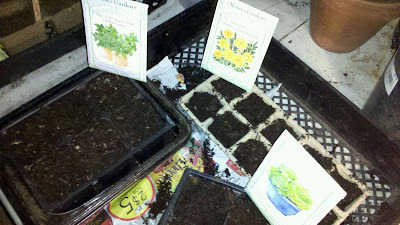 Renee's Garden has given me seeds to try out in my garden! 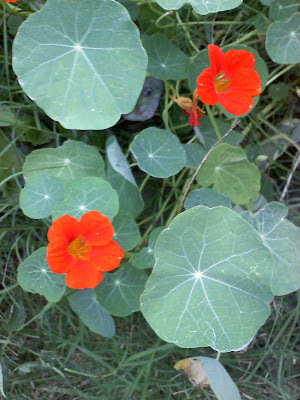 Last year, we grew Nasturtium Spitfire seeds! It was so fun to see all the other blogs and different ways people were growing their Nasturtiums! This year we get to try 3 packets of seed! We are growing specific seeds in containers! I am hoping to be very creative with my container choices! The 3 seeds we are trying out are Container Lettuce Garden Babies Butterhead, Large-Leaf Container Basil Italian Cameo and Butterfly Flowers Summer Splash Marigolds! Here are the packets of seed! I love the packaging, they are so pretty! Here is a tray of all the seeds I started in the greenhouse! I started Garden Babies Butterhead two ways! 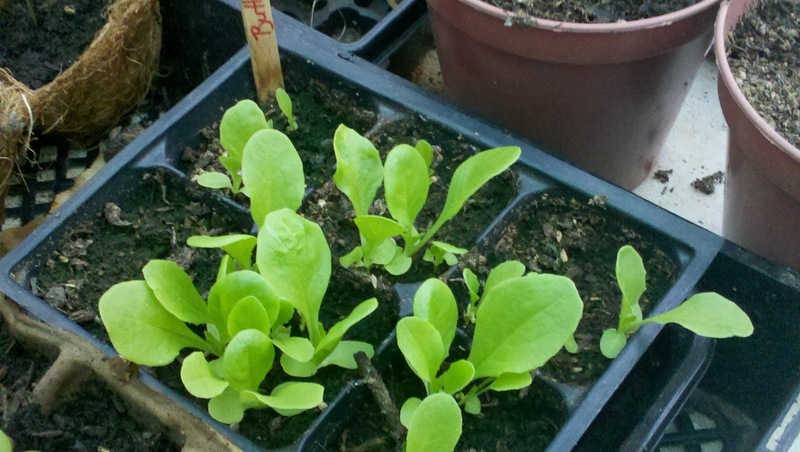 I direct sowed outside in a wheelbarrow and also started them in my greenhouse. My wheelbarrow of Garden Babies is doing really well! The Garden Babies are soooo cute! I cant wait to taste them. Looks like soon, I will be! 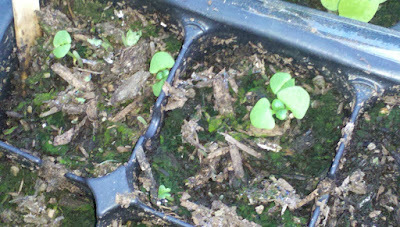 My Garden Babies in the green house I started about 7 days ago. They are off to a great start! I plan on adding these to different containers on my patio mixed with beets and carrots! I started the Italian Cameo Basil about 7 days ago as well! 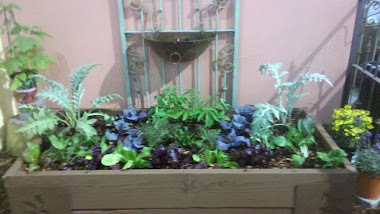 I also direct sowed into a long planter box outside. I also started some in my greenhouse. I think the Italian Cameo Basil is liking the outside better! I am anxiously awaiting to make pesto from this basil! The Summer Splash Marigolds I am starting in the green house. I am still a little timid when it comes to growing flowers. 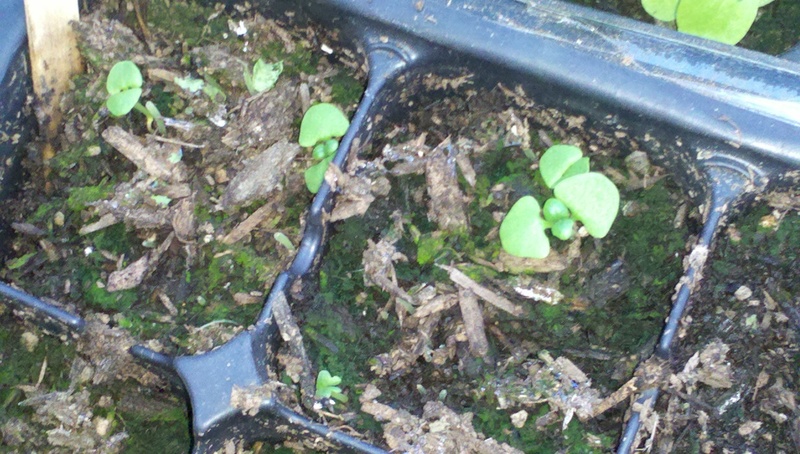 I thought they may have a better chance starting out in the greenhouse. 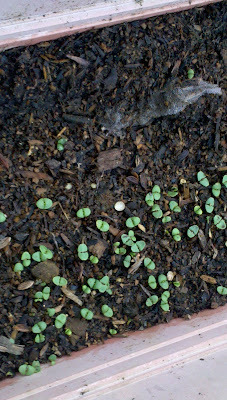 They are slower to start, but are emerging nicely! I cant wait to watch everything grow! 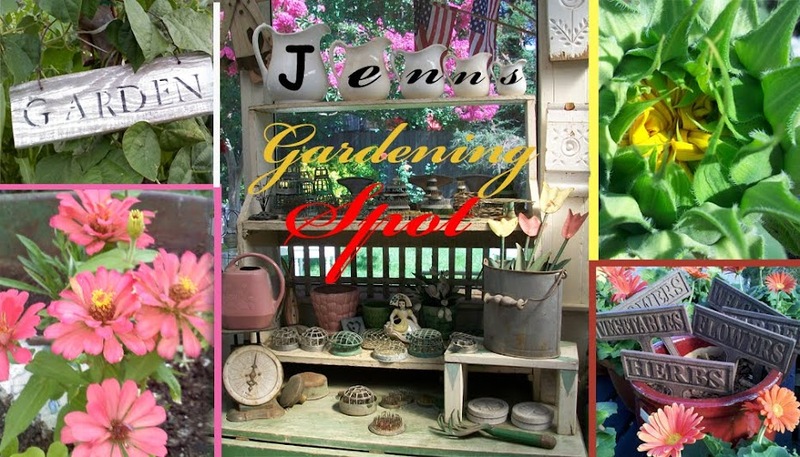 I hope you will follow along in this fun Container Garden Journey! I am excited to be participating in the SeedGROW project 2011! A super huge Thank You to Renee's Garden for the Free seeds! Basil..., we germinate them once, then they reseed again and again.. in our weather. Jenn - love the wheelbarrow idea, are you planning on transplanting them or growing them in there? Wow this is such a cool idea! 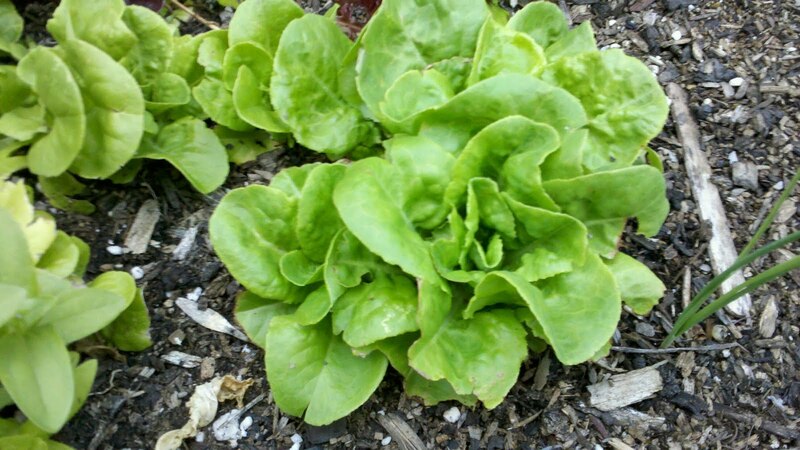 I recently started a blog to chronicle my garden's progress as it grows, and I've been excited to learn about how many other people are garden bloggers! I actually grew nasturtiums from seed last year and they turned out great..they're a really beautiful plant! good luck! I love your wheelbarrow planter...it's like my wagon planter! You are very enthusiastic, it's great. 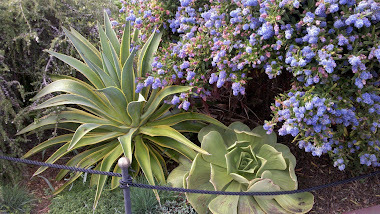 It's fun to see how the stuff grows in each others' yards. Your lettuce seedlings are far more along than mine. Bangchik, I usually grow Basil in containers. 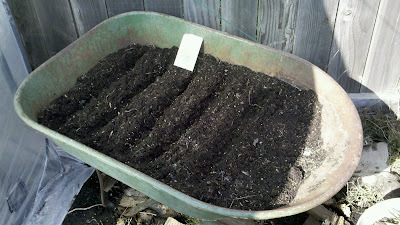 I am adding some to a garden bed in hopes that it will re-seed itself! Nellie, I am leaving those starts in the wheel burrow, I also added some zinnia seeds to the lettuce. The butterheads I started in the greenhouse are going in other containers! Im looking to be really creative! I am so excitied to be a part of seed grow again! Nick, I love growing Nasturtiums. I love that they re-seed themselves and grow everywhere. I toss seeds everywhere in my garden! Gardenmom, I love checking out how others grow in there gardens as well. I love using differnt things as container gardens! Mrbrownthumb, yours will get there! We had a really hot couple of weeks before we had all this rain! I love how they look! Thanks for doing seed grow again! Its so fun! Awesome blog. I just stumbled upon your blog. What kind of seeds you’re using? non GMO seedsor GMO seeds?